At Patrick Neale & Associates, Judi Menard assists Patrick Neale with legal research, drafting legal documents, administrative support and ensuring that deadlines are met. 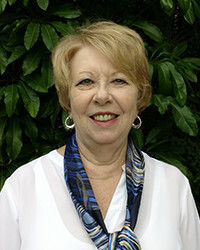 Judi has over 30 years of administrative and legal assistant experience. She was also an Assistant Vice President for a large Chicago area commercial bank, managing commercial loan operations for a number of years. Originally from the Chicago area, Judi and her husband relocated to Naples in 2012. She is also the administrator for the Collier County Presidents Council, a non-profit organization of HOA and Condo association officers. Judi is an active volunteer for Sunshine Kids, a foundation that provides to assistance to children suffering with cancer.